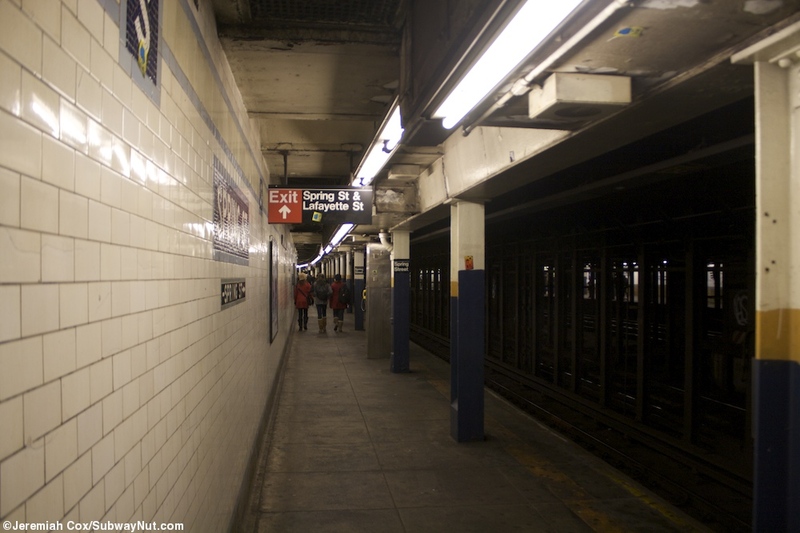 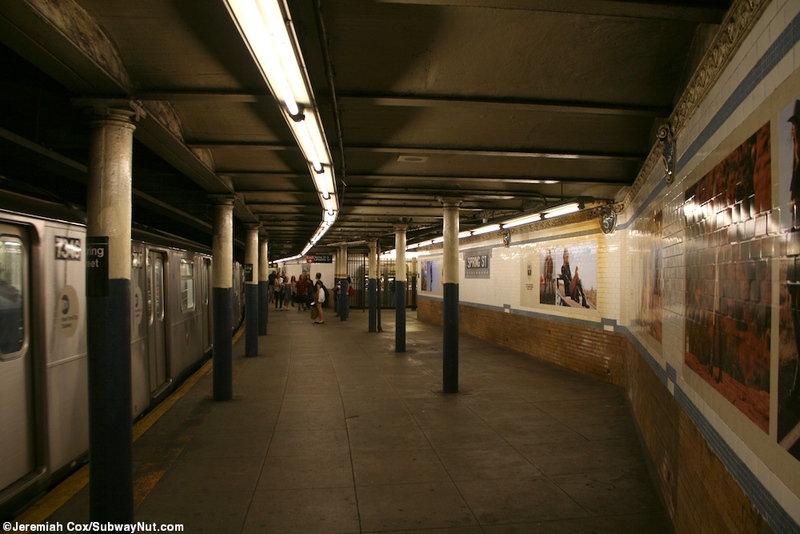 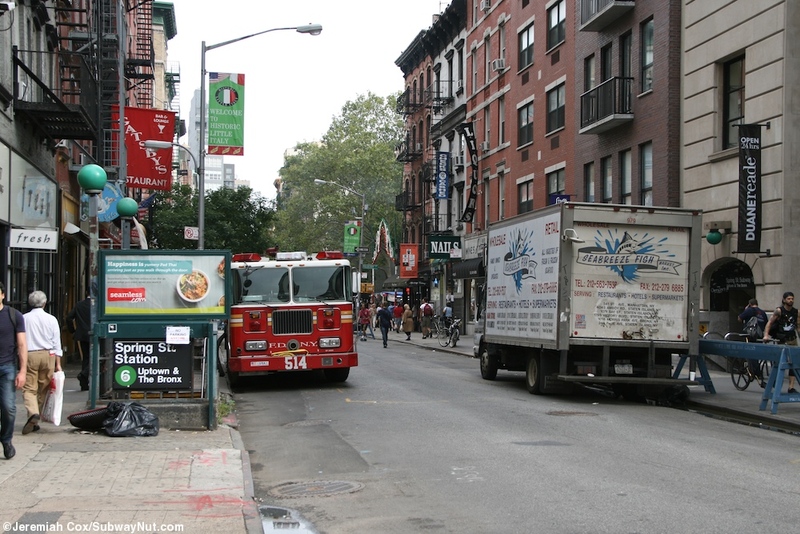 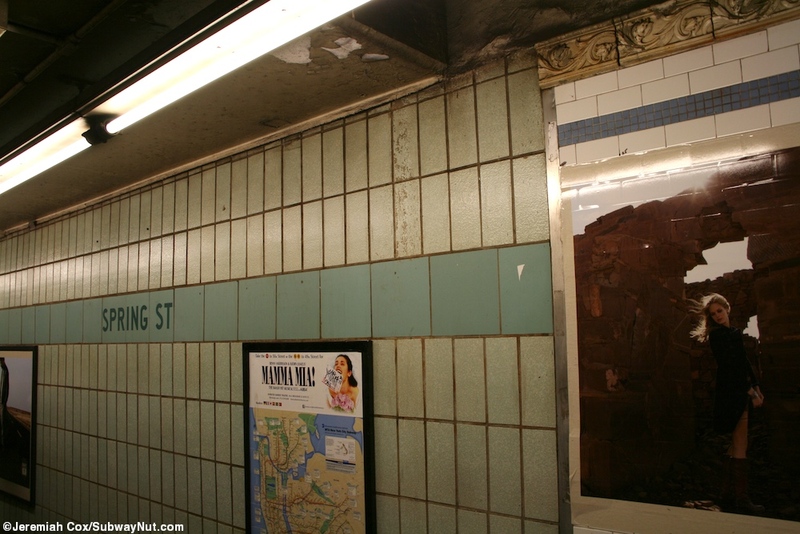 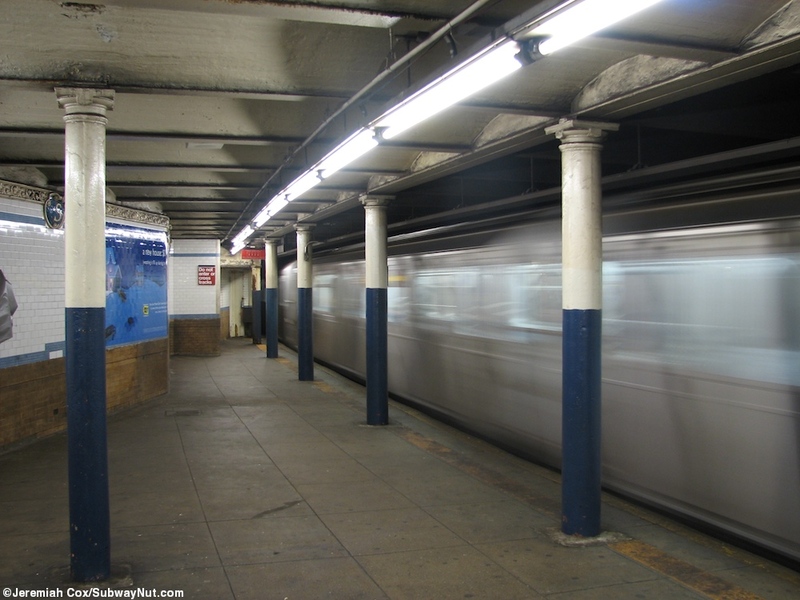 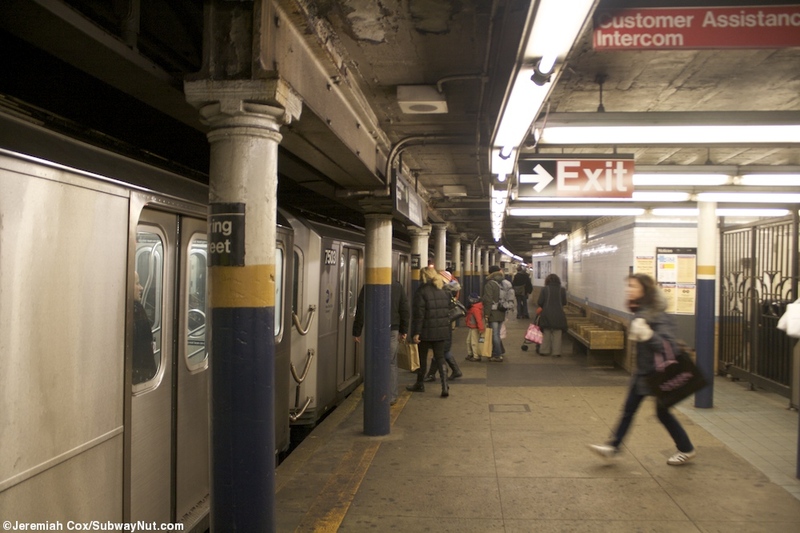 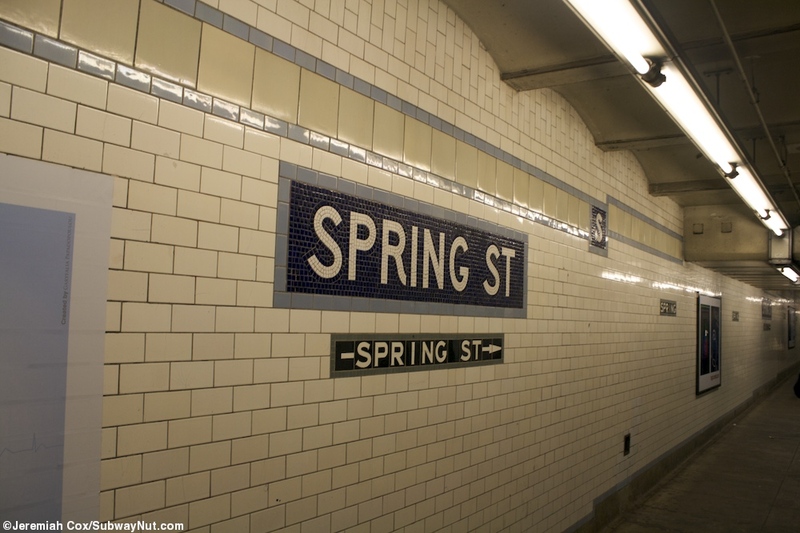 Spring Street is an IRT Lexington Avenue line local station with offset platforms from there original areas, the uptown extension is north and downtown extension is south. 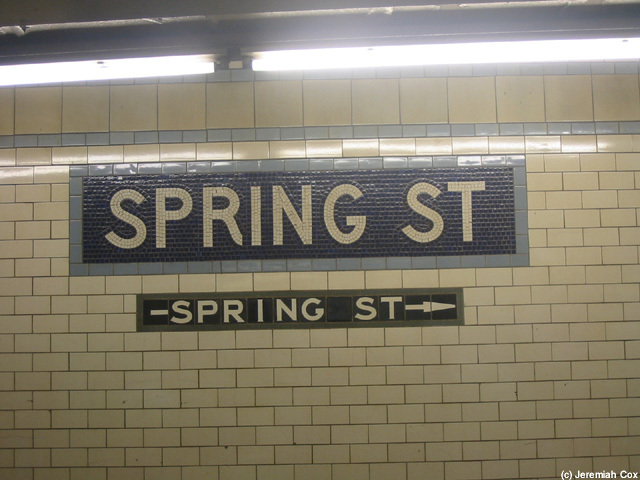 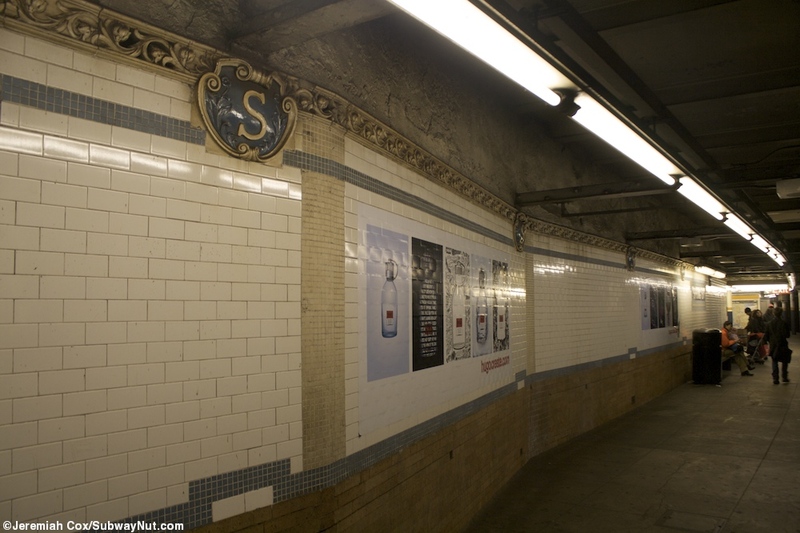 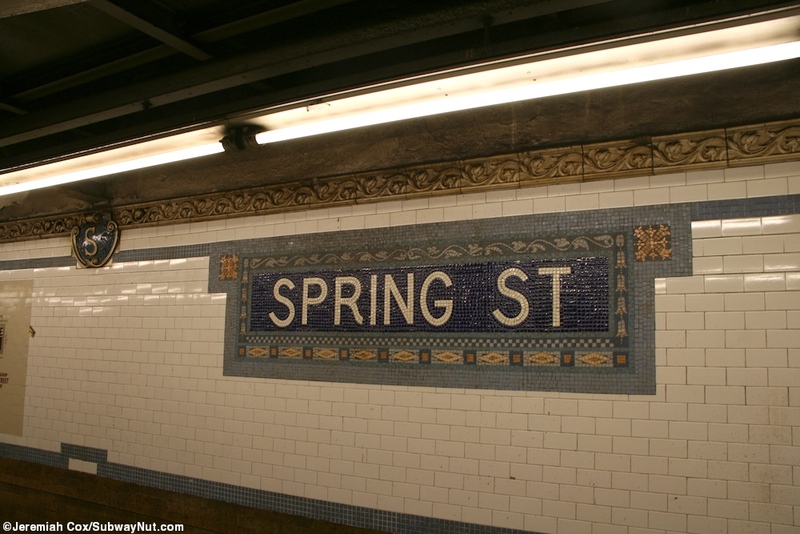 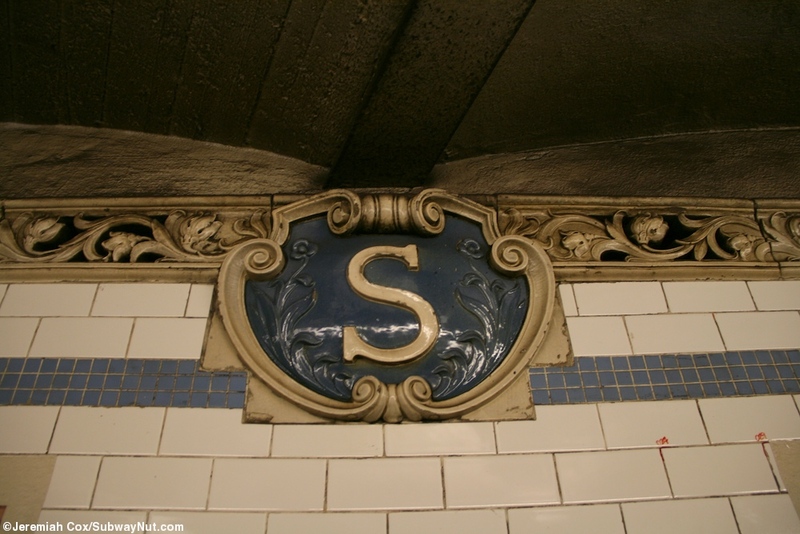 The original portions of the platforms have terra-cotta cornucopia Ss on a blue background reliefs in a relief trim at there original sections ends and the standard ornate mosaic name tablets spelling Spring St on blue with a blue boarder, here there are also platform columns that are round and are painted blue before a stripe of gold and white above, in replica to how these would have been painted when the station was opened. 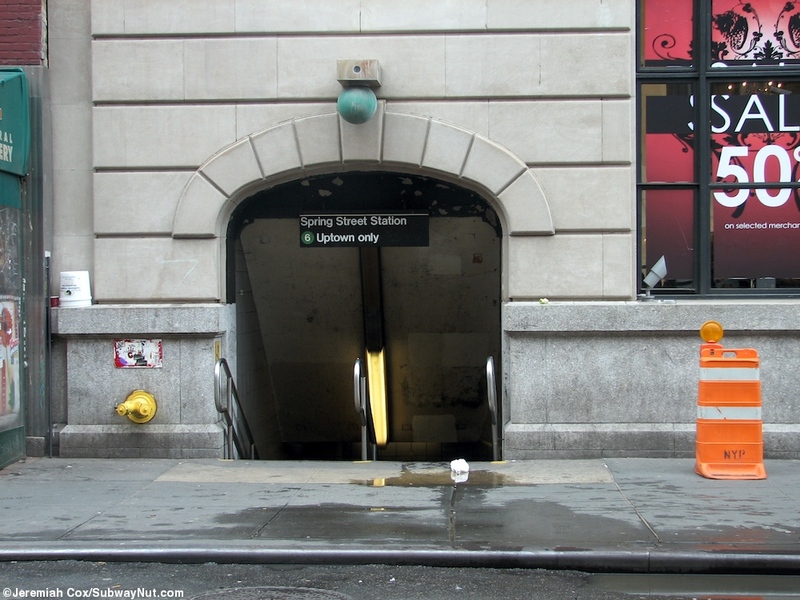 The exits from the downtown platform lead to the SW and NW corners of Spring and Lafayette Streets, the uptown platform has a streetstair at the NE corner and the entrance is located in a building at the NW corner which is really with Cleveland Place that forks off of Lafayette Street. 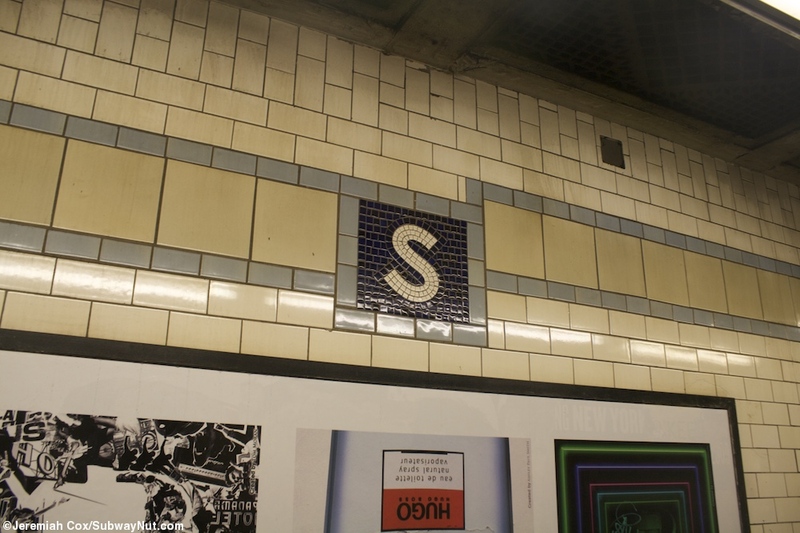 The tiling of the platform extensions on each platform is complete different. 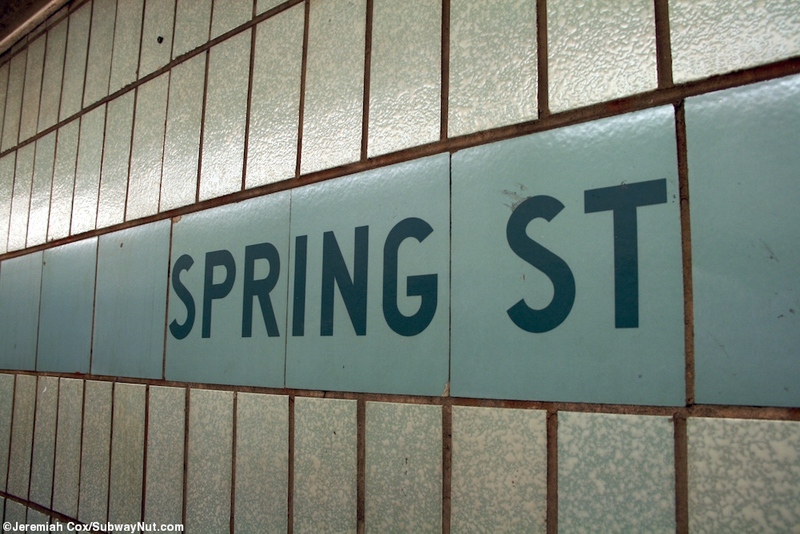 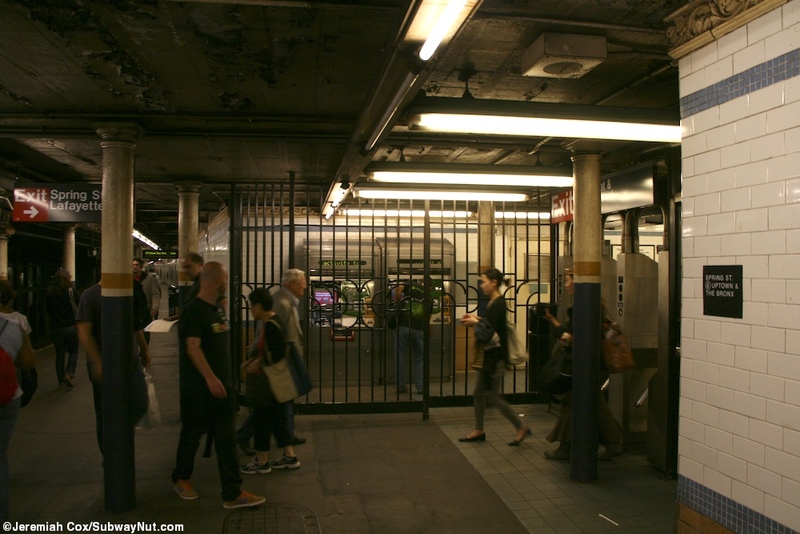 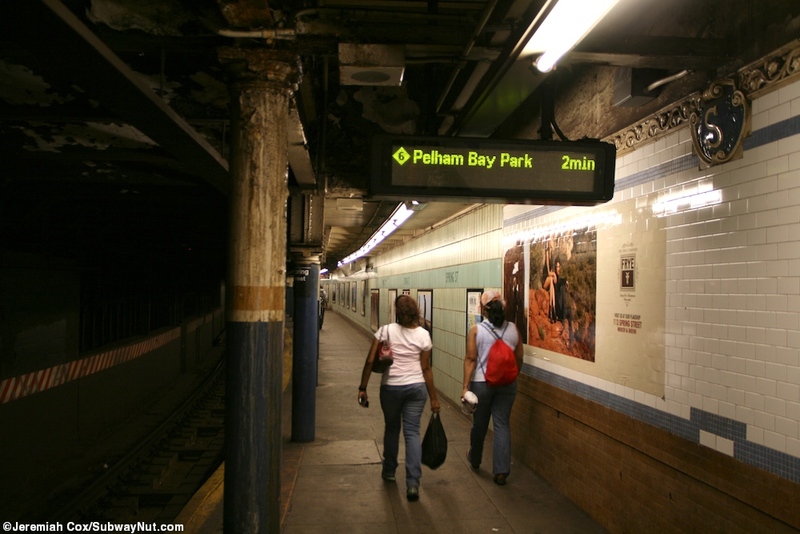 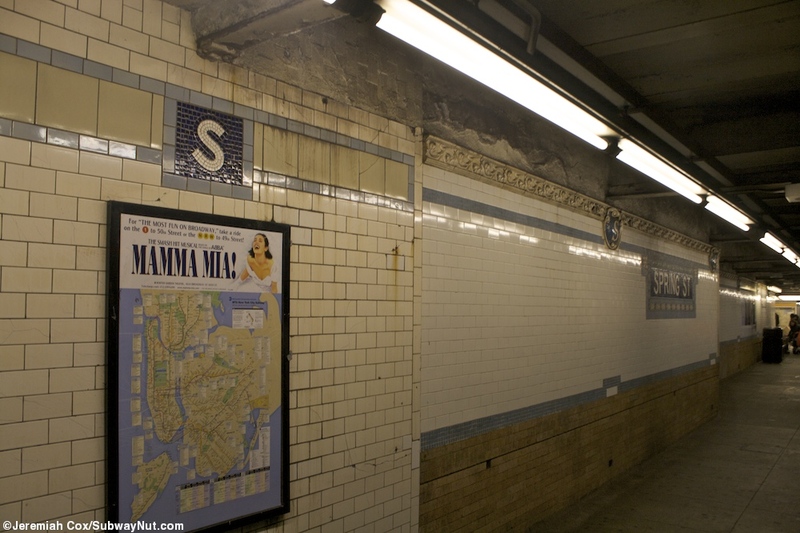 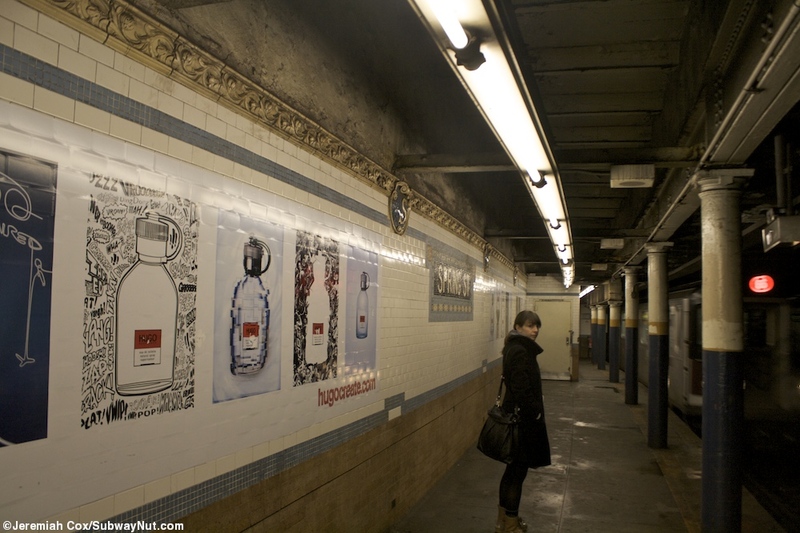 The uptown platform has a 1950s era extension with turquoise walls and a turquoise line with Spring St written on it. 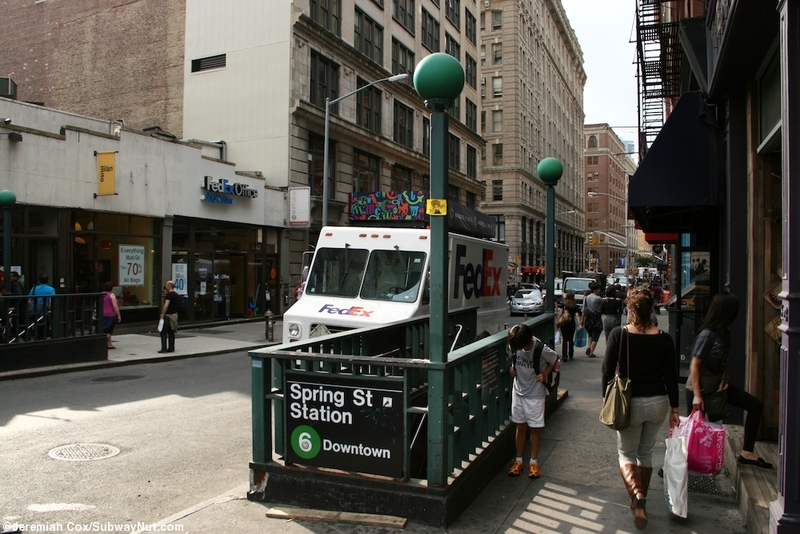 The downtown platform has a more standard extension when compared to other Lexington Avenue IRT stops with a cream colored trimline with a light blue boarder and little white Ss. 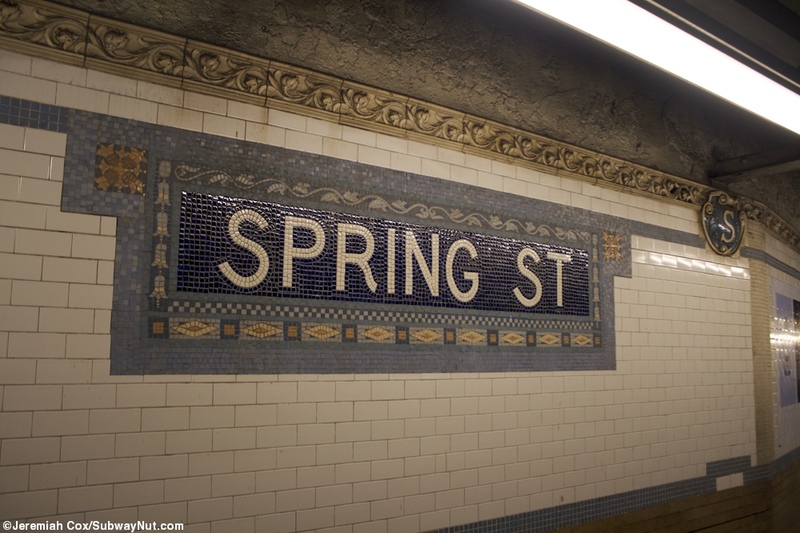 There are also blue with white text Spring St name tablets, and IND style exit direction tiling for the only exit to Spring Street.